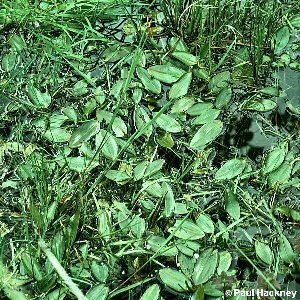 One of the commonest of the pondweeds. It grows in still freshwater, rooted in the bottom mud. 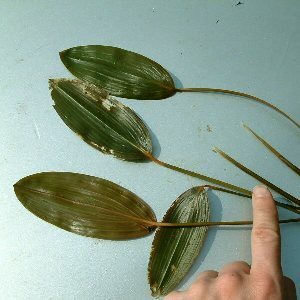 Submerged leaves are grass-like, but higher up the shoot it produces oval floating leaves about four inches long.